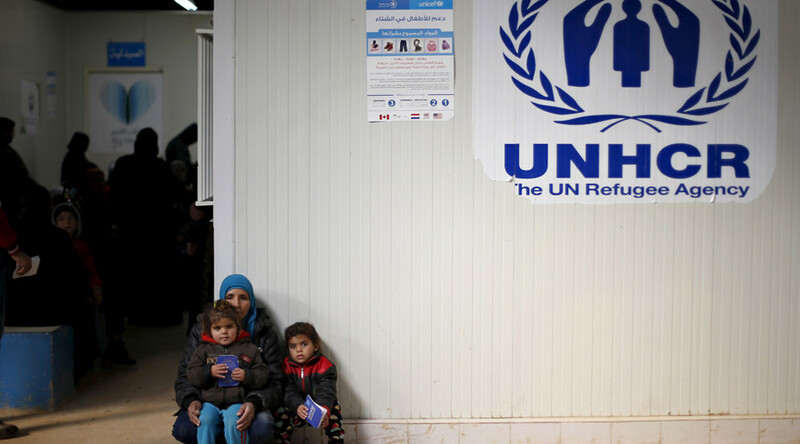 If President Trump is talking about safe zones in Syria and the surrounding region, does he not know that there are already safe areas and camps run by the UNHCR in Turkey, Jordan, Lebanon, says foreign affairs commentator, Jonathan Steele. The high-profile Democratic congresswoman from Hawaii, Tulsi Gabbard, who has been a vocal critic of Obama's policies, has returned from a fact-finding trip to Syria. She met with President Assad during her journey. In an interview to CNN, she explained why she spent four days in Syria during which time she spoke to locals in different cities. Since her trip, she's been posting photos of the people she met and calling for an end to America's arming of what she calls “terrorist rebels” in the region. She also renewed her calls to stop the “regime change war” in the country. However, information on the Syrians Gabbard met didn't get much attention from the media, unlike her meeting with President Bashar Assad, which sparked a wave of criticism. Gabbard has been calling for an end to the war in Syria and a change of US policy in the region. In December, she started a new piece of legislation called the Stop Arming Terrorists Act. RT: Tulsi Gabbard, the congresswoman, spoke to many locals who have described to her their plight and their thought on the future of Syria. However, that seems to be ignored by the media, which appears to be only interested in her meeting with President Assad. Why so? Jonathan Steele: I think it is absurd to make a fuss over her visiting President Assad. Many Western journalists, including US ones, have been to Damascus and have spoken to Assad. If you want to know from the top what the policy is, what the strategy is and be able to put questions, you have to meet people, and that makes common sense to meet the leader of the country. RT: Gabbard's been calling for an end to what she dubs the American 'regime change war.' Do you think the new Trump administration is ready to accept Assad staying in power? JS: I think they are because Michael Flynn, who is now the national security adviser to President Trump used to be head of the Defense Intelligence Agency and we know that he was actually sacked from that job among other things for his policy in Syria - his advice rather in Syria; he didn’t like the policy Obama did. His advice was that Russia, America, and the Syrian government should work together in fighting terrorism in Syria. And of course, that wasn’t the policy of Obama, which was to support the terrorists as the congresswoman is now pointing out very clearly. So, there is now some hope that Michael Flynn in a powerful position close to President Trump there could be a change in policy. RT: Many are now raising concerns that the establishment of such 'safe zones' can mean deeper US involvement in the war in Syria. Do you agree with that? What do you make of Trump's ordering 'safe zones' in Syria? JS: It is very confusing what Donald Trump actually has in mind. I am afraid he is not very well informed on the whole general situation. If he is talking about ‘safe zones in Syria and surrounding neighboring region,' does he not know that there are already safe zones and camps run by the UNHCR in Turkey, Jordan, Lebanon? There already are safe zones. Why do we need more safe zones? They need more funding, they need food, more aid, more jobs for people, so they are not sitting around wasting their time in refugee camps. They are safe. But does he mean safe zones inside Syria? If that is done under US auspices, with the agreements of the Syrian government, that would be fine, but it seems to be really warming up an old idea that Hillary Clinton and other people have had during the Obama time which was to set up ‘no-fly zones’ which really amounts to an act of war. Because that would be taking action in a foreign country’s territory without its agreement and trying to police it. And that could bring about clashes between American aircraft and Syrian government aircraft or Russian aircraft if they are in the same area. It could be very dangerous. RT: How could these 'safe zones' actually be established in practice? JS: I don’t think they can work. As I just pointed out, it is an act of war to try and set up a zone in somebody else’s territory and offer to defend it and take action to defend it, which obviously means by using force.